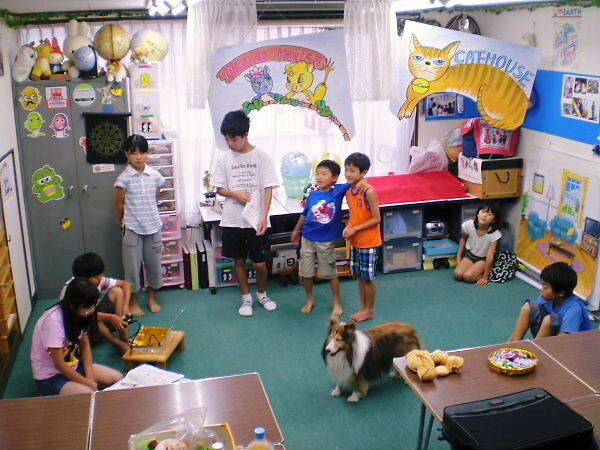 LL英語劇「ネコにスズを」・道具作り＋#3練習：Making props of LL English Drama: “Belling the Cat” and its #3 training were done. 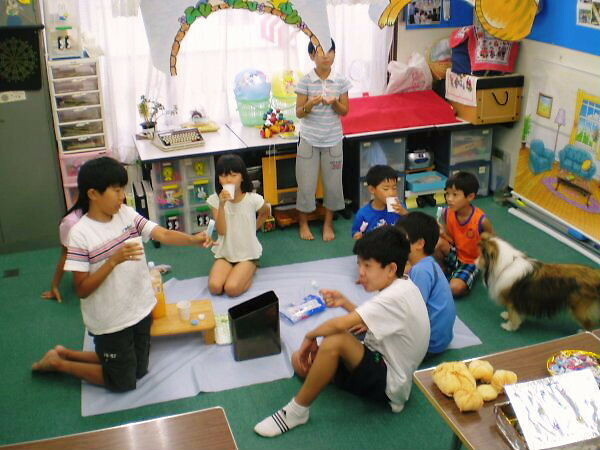 On last Sunday of summer holidays, from 1:00 to 3:30 pm, at LL Shihoya Arai School, “Making Props” was done and “#3 Training” of the drama, “Belling the Cat” was done from 4:00 to 5:30 pm. 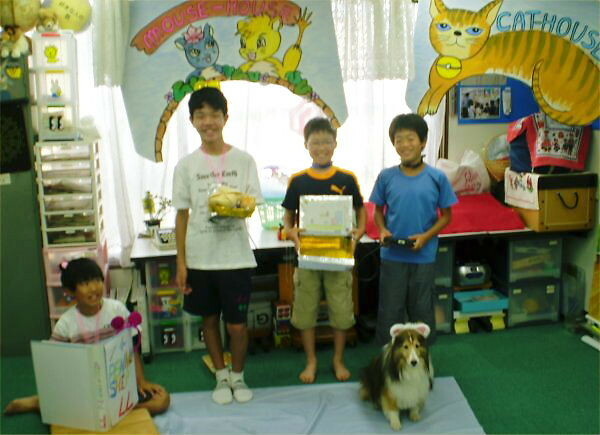 One of the student-staff, U kun, the first grader of a junior high school, the fifth graders, O kun, U kun and Y kun; four LL students joined at “Making Props”. 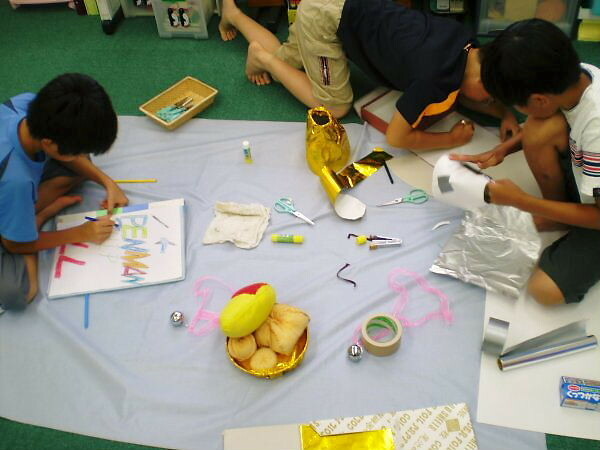 They made props: “two bells: one is gold and the other is silver”, “the computer game machine”, “the big penmanship”, and so on with patience. You did your best; thank you! Nine of all cast, 10 joined today’s training; one had told Yoshy her absence in advance. This 3rd training was well done thanks to the big scenes: “two houses for the mice and the cats” R had made before and “today’s Props”. 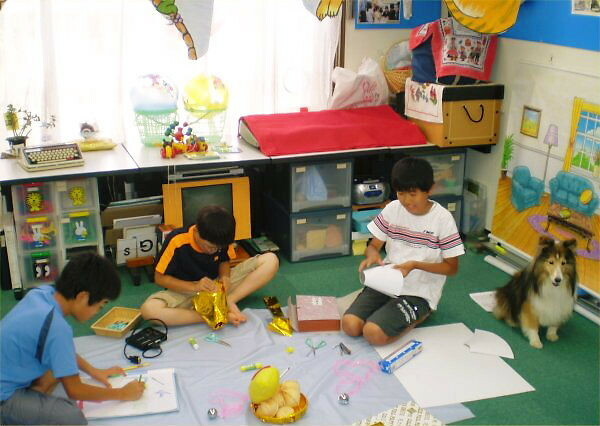 They could enjoy training in the atmosphere of these props. 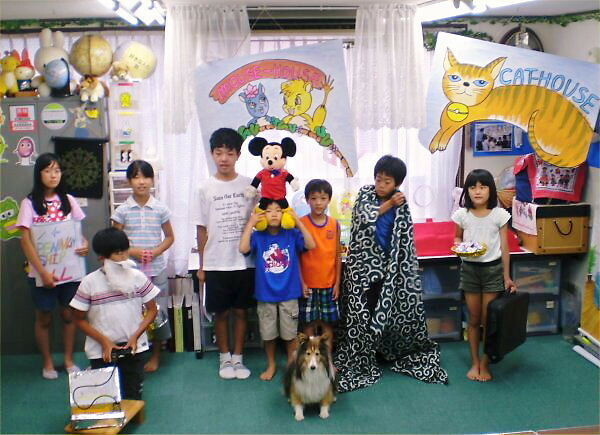 Each cast of nine mice (O kun is double casting of Brother-mouse and Grandfather-mouse.) and two cats has his/her own strong character. 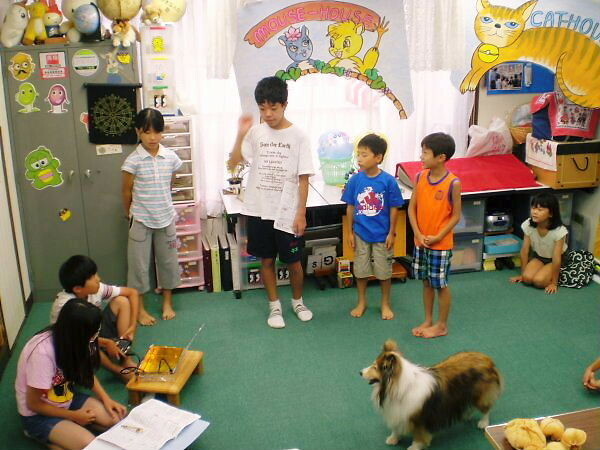 Yoshy led them to have their characteristic performance clearly appeared. Yoshy was very happy to see all of them were enjoying this training. There’re three ones left. 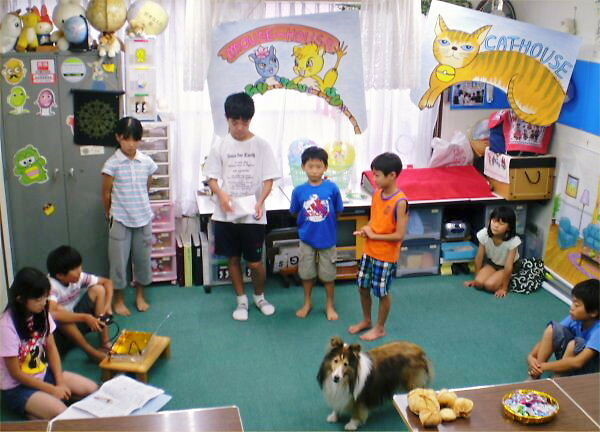 This drama, “Belling the Cat” is going to be performed just before “The 35th Speech Contest Interclass for Elementary” on Sunday, October 7th, from 2:00 to 5:00 at Kin-ken Center.